With the development of cloud computing, more and more people choose to upload their own data to cloud for storage outsourcing and computing outsourcing. Because cloud is not completely trusted, the uploading data is encrypted by user’s own public key. However, many of the current secure computing methods only apply to single-key encrypted data. Therefore, it is a challenge to efficiently handle multiple key-encrypted data on cloud. On the other hand, the Demand for data classification is also growing. In particular, using support vector machine (SVM) algorithm to classify data. But currently there is no good way to utilize SVM for ciphertext especially the ciphertext is encrypted by multiple key. Therefore, it is also a challenge to efficiently classify data encrypted by multiple keys using SVM. 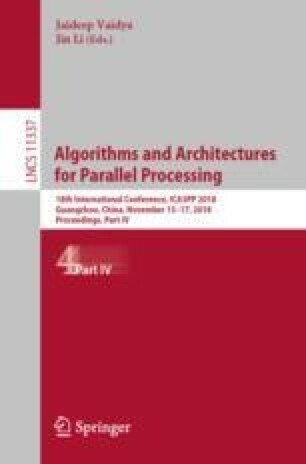 In order to solve the above challenges, in this paper we propose a scheme that allows the SVM algorithm to perform classification processing on the outsourced data encrypted by multi-key without jeopardizing the privacy of the user’s original data, intermediate calculation results and final classification result. In addition, we also verified the safety and correctness of our designed protocol. This work is supported by National Key Research and Development Program of China (No. 2017YFB0803002), Basic Reasearch Project of Shenzhen of China (No. JCYJ20160318094015947), Key Technology Program of Shenzhen of China (No. JSGG20160427185010977), National Natural Science Foundation of China (No. 61702342).